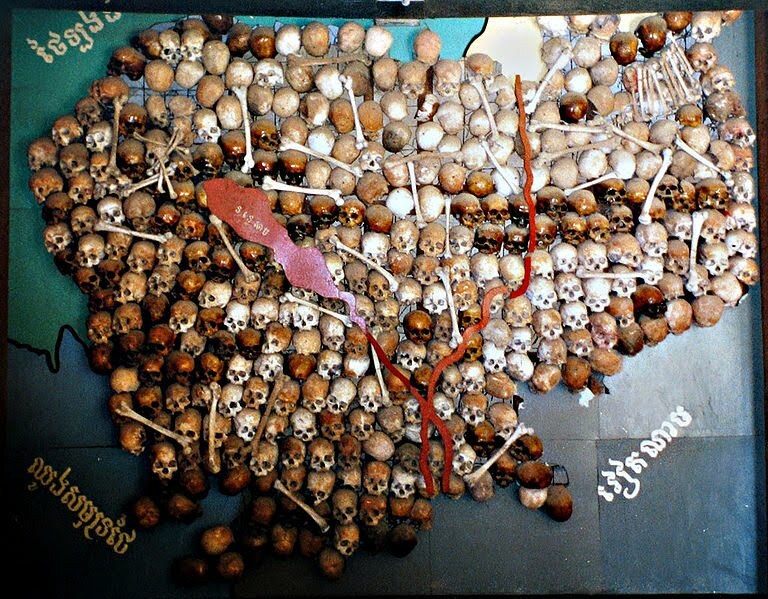 I suppose the essential film to screen about the entire Khmer Rouge Genocide would be the Killing Fields. In many ways, this film is one of several that would document genocidal behavior of governments. 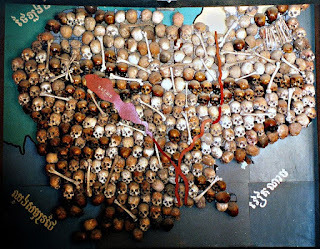 What is complicated is that you can also tie this issue with a few other issues that have occurred in terms of ethnic cleansing and genocides. Obviously, there is film documentation about the Rwanda genocides as in Hotel Rwanda. One of the most basic questions is how does this all factor. How is it that you can systematically kill people in an organized manner? After the Killing Fields, there were numerous other incidents like the Hutu/Tutsi conflict in Rwanda, the massacres in Bosnia, the Sudan. The Associated Press reports that in Kyrgyzstan there are attacks on Uzbeks. So this stuff is still going on right now. It is expected that we will be in Cambodia and visit S21. It was a former high school converted into basically a kill facility. 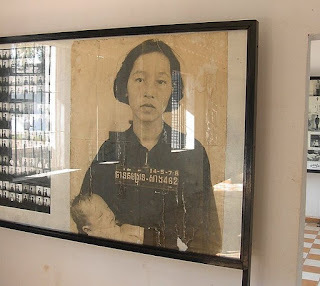 What is weird about the Khmer Rouge was their particular focus on documentation and details. Supposedly there is a tree in which they bashed in the skulls of babies. Out of an estimate of 17,000 people, only 12 survived. Any foreigner who got caught also ended up dead. What is intriguing is that the head of the facility is undergoing a UN backed trial. His name is Comrade Duch. Recently, the Cambodian Government have been conducting trials of the people involved with the genocide. For example, on NPR, there was a discussion of Comrade Duch who was in charge of S21. Go here to hear the transcript. A verdict is supposed to be announced on July 26 according to the BBC. How he got caught is interesting. Supposedly he converted to Christianity, but he was finally found working with World Vision, a Christian NGO. This was reported in the UK's The Independent. Go here to find out how they caught him. July 26, 2010 should be very interesting.